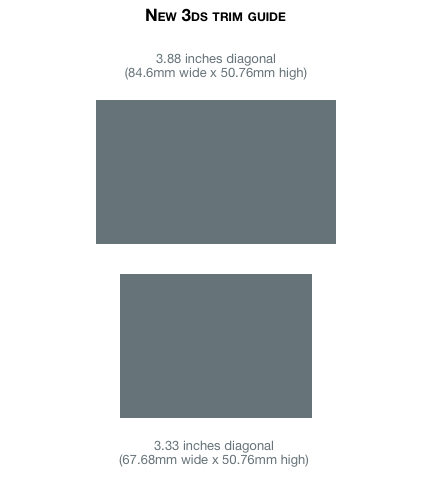 For anyone else that picked up a New 3DS today and is making due with trimmed XL screen protectors until properly sized versions arrive, here’s a guide I threw together to make it easier to trim those larger overlays down to size. Dear reader! Starting with the next issue, I’ll be writing regular columns for RETRO magazine, covering arcade history and game tech, two subjects that are pretty much always on my mind anyway. 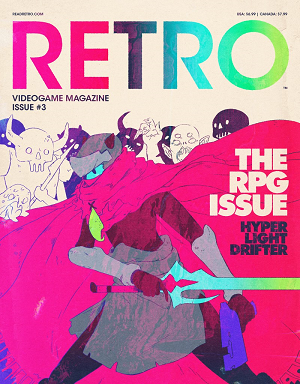 I’ve been a subscriber since the magazine’s debut, and RETRO has continued to improve with each issue since. I’m pleased enough to be writing with a retro gaming focus, but after chatting about the team’s plans for the upcoming year, I’m even more thrilled to be onboard. RETRO is currently running a Kickstarter to bolster subscription numbers and add additional content for year two. The funding goal was quickly surpassed and now the focus is on stretch goals, three of which (more pages! stickers! posters!) have already been met. If you’re interested in reading, it’s a good time to subscribe, as the Kickstarter rate is a hell of a deal. Paul Ford created tilde.club on a lark, and it’s been fascinating to watch a community grow from within the tiny AWS server with nothing more than a little bit of space and a shell account. As I can dredge the old memories, I’m writing about the good ol’ days at tilde.club/~drifter. Cryptocurrency On The Rise: such doge, much profit. On Monday, January 20th, just two days after the start of the campaign, 27 million Dogecoins (approximately $30,000 after conversion) were donated to the cash-strapped Jamaican bobsled team, putting them over their target fundraising goal and allowing the two-man team to travel to and compete in the Olympics competition for the first time since 2002. Spurred on by the successful Dogecoin Foundation initiative, fans of the virtual currency have broadened the efforts in order to bring multiple Indian skiers (who will be skiing under the general Olympic banner) to the Games as well. Like many wonderful things, Dogecoin began as a joke. During the height of Bitcoin’s meteoric rise last fall, Adobe marketer Jackson Palmer tweeted an off the cuff comment about investing in Dogecoin, a play on the popular Shiba Inu internal dialog meme (oh, just google “doge” and you’ll figure it out quick enough). Friends immediately glommed onto the idea, Palmer threw together dogecoin.com as a response, and after a bit of back and forth with coder Billy Markus, the two set about actually making Dogecoin a reality. Using the codebase of Litecoin as a starting point, Markus and Palmer deviated from the cryptocurrency norm by greatly increasing the rate of mining (Dogecoin will be completely mined within a year and a half, versus Bitcoin’s exhaustion in 2014) as well as the total number of eventual coins in circulation (100 billion Dogecoin versus 21 million Bitcoin). While unplanned, the availability and ease of mining helped counter the hoarding behavior often exhibited by cryptocurrency enthusiasts, and Dogecoin quickly found use as an appreciation and tipping currency on Reddit and other sites, with crowds of Shibes (as supporters of Dogecoin call themselves) handing out thousands of Dogecoin in response to informative articles, humorous comments, and other community-building activities. On Christmas Day, online Dogecoin wallets Instadoge and Dogewallet were hacked, resulting in the theft of over 30,000,000 Dogecoin from the sites’ users. Almost immediately, members of the community began to step up with pledges to help reimburse victims of the theft, and within days the SaveDogemas campaign was born. In the month since Christmas, millions of Dogecoin have been donated, showcasing a level of camaraderie and generosity nearly unheard of in the dog eat dog (sigh, sorry) world of cryptocurrency. Even as speculators have jumped into the market, buying and selling millions of dollars worth of Dogecoin on multiple exchanges, even as the value has grown a hundredfold, the freewheeling and generous nature of Shibes has persisted. Dogecoin now accounts for more transaction volume than all other cryptocurrencies combined, with ever-increasing charity donations, trades for real and virtual goods, and a tipping culture that has expanded beyond Reddit to Twitter, Facebook, and even SMS. At its current pace, the coin is well on its way to becoming a legitimate and viable social currency – Shiba Inu, Comic Sans, and all. To the moon! Hey, The D Las Vegas Casino Hotel! Last week you made the “we’re accepting Bitcoin!” announcement, and got a ton of awareness and traffic out of it. Kudos, and great move by the way. 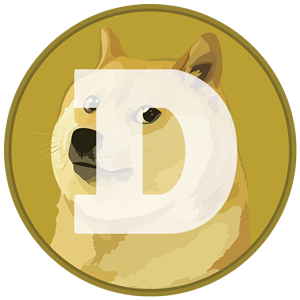 Did you know that the symbol for Dogecoin is Ɖ? October 31 2008. The entity or group known as Satoshi Nakamoto publishes the paper detailing the peer-to-peer electronic cash system known as Bitcoin. Reception is mixed. January 12, 2009. The first Bitcoin transaction takes place when Satoshi Nakamoto transfers 10 BTC to developer and cryptographer Hal Finney as a test. October 5, 2009. New Liberty Standard publishes the first BTC to USD exchange rate, with the initial rate valuing 1,309.03 BTC at one dollar. May 22, 2010. The first trade for goods takes place when bitcointalk.org member Laszlo Hanyecz purchases two pizzas from a volunteer in England for 10,000 BTC. July 17, 2010. Initially a Magic the Gathering collectible card trading site, MtGox pivots, establishing itself as a Bitcoin exchange. November 6, 2010. With 4.5 million BTC in circulation, Bitcoin market capitalization passes $1 million. April, 2011. Satoshi Nakamoto vanishes. February 9, 2011. For the first time ever, Bitcoin reaches exchange parity with the US dollar. June 19, 2011. MtGox is hacked, with false sell orders for thousands of fake Bitcoins driving the price per BTC down to $0.01. Trading is halted for one week while the security breach is resolved. March 1, 2012. 46,703 BTC (now valued at $39,980,000) are stolen after web hosting company Linode is compromised, giving the hacker access to the Bitcoin wallets of eight users stored on the company’s servers. September 27, 2012. 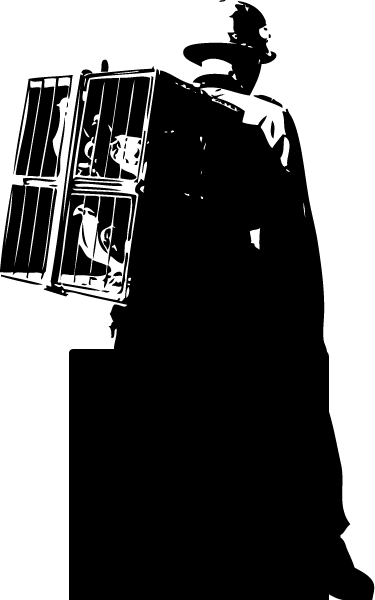 The Bitcoin Foundation, created to standardize, protect, and promote the use of Bitcoin, is formed. January 30, 2013. Jeff Garzik, a Bitcoin core developer, receives and activates the first commercially sold Avalon ASIC (Application Specific Integrated Circuit) Bitcoin miner, drastically upping the bar for mining hardware. Operating at 67.5 GH/s, the unit pays for itself in nine days. February 28, 2013. The MtGox exchange rate reaches $32, surpassing the previous high for the first time since June 2011. March, 2013. The government of Cyprus announces a bail-in for banks, resulting in rush from consumers to withdraw funds from their accounts and place them in locations secure from government fingers. A great many chose Bitcoin, pushing the price of BTC to an all-time high. March 28, 2013. The Bitcoin market cap passes $1 billion. April 1, 2013. Bitcoin exchange rate exceeds $100. April 10, 2013. The MtGox Bitcoin exchange rate spikes to a high of $266 before immediately plummeting to less than half that value. October, 2013. In the midst of a housing and stock market bubble, Chinese investors looking for new action create an unprecedented demand for Bitcoin. October 2, 2013. The FBI arrests alleged Silk Road founder Ross Ulbricht, shuttering the service and seizing over 170,000 Bitcoins. At the time of its closure, the site had facilitated $1.2 billion dollars in sales, earning $80 million in fees. October 29, 2013. The world’s first Bitcoin ATM, developed by Las Vegas startup Robocoin, is deployed in Vancouver, Canada. Within one month it will exceed over $1 million CAD in transactions. November 21, 2013. The University of Nicosia, in Cyprus, becomes the first accredited university to accept Bitcoin for payment of tuition. December 5, 2013. The China Bubble pops as the People’s Bank of China bans banking institutions from handling Bitcoin transactions, stating that while the public can take on the risk themselves and participate in Internet transactions, the currency itself has no real meaning or legal status. Bitcoin plummets. January 4, 2014. Social game behemoth Zynga announces that it will immediately begin accepting Bitcoin as payment for virtual goods in seven of its online games, including FarmVille 2. January 5, 2014. Bitcoin rebounds to above $1000 and holds most of its gains. January 9, 2014. Overstock.com becomes the world’s first major retailer to accept Bitcoins. Items most purchased by Bitcoin users include sheets, mobile phone cases, flash drives, and bath towels.